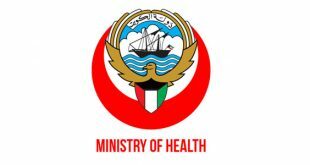 KUWAIT CITY, June 7: Consultant of Chest Diseases at Dar Al-Shifa Hospital and Professor of Chest Diseases at Cairo University’s Faculty of Medicine Dr. Mohamed Mustafa Kamel affirmed that allergies and asthmatic bronchitis are the most common diseases in Kuwait, reports Al-Anba daily. He revealed that smoking cigarettes, sheesha and the widespread use of electronic cigarettes affect smokers with chronic obstructive pulmonary disease that has similar symptoms to allergies, adding that the risk of smoking electronic cigarettes might be higher than smoking normal cigarettes. Dr Kamel affirmed that breathing disorders while sleeping occur due to two reasons. The first reason, which is not common, is related to issues with sleep-controlling nerves that occur due to lack of blood circulation in the brain.